Soldering is a skill that can be used for making circuit board connections, wiring, repairing musical instruments or electronic parts, and creating jewelry and other art projects where metal parts need to be joined together. Learn about soldering and de-soldering, and find out what flux is. 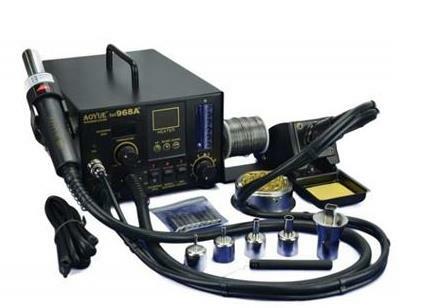 There is only one soldering station. If time permits, makers will be able to create an I Can Solder badge.